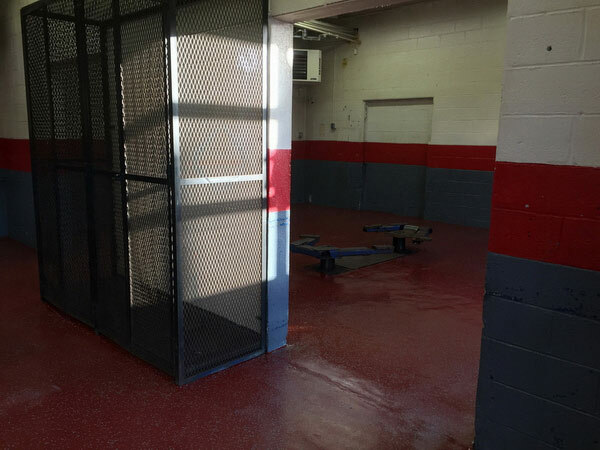 Whether it’s a residential or commercial garage, Everlast® Epoxy Floors are an ideal go-to. With a tough, durable finish, our epoxy will instantly transform your floors into sleek, professional and functional floors that last. And with garages becoming more and more recreational in recent years, our floors have become one of the most sought-after solutions on the market. You don’t just park your car in your garage—life happens in your garage. And our Epoxy Flooring and Natural Stone are there to support you, your life and your business every step of the way. With many colors and a host of custom styling options, there’s no doubt you’ll find the perfect floor for your garage in our massive collection. Want to “go green?” Choose from one of eight color options made from recycled glass. Because color carries through the entire floor, there’s no risk of fading even in the harshest environments. There’s a reason so many homeowners and business owners choose Everlast® Epoxy Floors for their garages. With unparalleled durability and resistance to impact, chipping, chemicals, stains and surface abrasions, there’s nothing our flooring can’t withstand. The secret? Our resin-rich formulas that allows the floor to seep into the wood or concrete substrate while curing, so it becomes a long-lasting part of the sub-floor. This process ensures garage flooring won’t peel or crack like quartz broadcast floors or epoxy floor paints. Everlast® Epoxy flooring isn’t hard or brittle like traditional epoxy options. Instead, our floors have the durability and flexibility customers demand, enabling them to retain their like-new appearance for years after installation. Unlike wood, tile or carpet, our floors can accommodate a high volume of daily foot traffic without showing signs of age. Hate scrubbing or power washing your garage floors? We hear you—and Everlast® Epoxy Floors are the ultimate easy-to-clean solution. With a mop and detergent, you can quickly clean garage floors in minutes. Because our surfaces are non-porous, grime and dirt can’t seep in— that’s, often, what makes garage floors so hard to effectively clean. In areas where the floor is exposed to chemicals, layer in a deck brush, then rinse off detergent with thoroughly on a daily basis. And if you want to power wash your floors? Everlast® Epoxy flooring can stand up to the challenge. Everlast® Epoxy Flooring is made with an EPA-registered anti-microbial additive to restrict the growth of microorganisms. And thanks to the lack of these growths, you'll have the added benefit of reduced odor associated with bacterial degradation. It’s a protection that exists throughout our floors—from top to bottom and everywhere in-between. This structure provides long term protection from a broad spectrum of bacteria, fungi, yeast, actinomycetes, and mildew. Want to upgrade your garage floor? Let’s talk! Our expert team is standing by to review options and schedule installation fast.